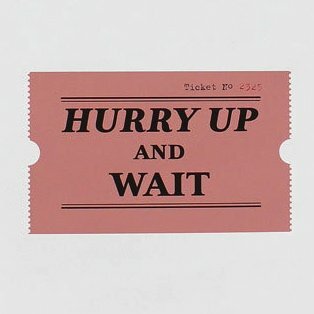 This post is for seniors, who are right in the middle of the horrible waiting time, but it’s also a great message in advance for parents of sophomores and juniors. After high school seniors submit their applications and supporting documents, including transcripts, test scores, teacher recommendations and essays, they are frequently left to wonder if everything that should have been received has, in fact, been received. I get lots of calls and e-mails, sometimes frantic, asking me what can be done to ensure that the colleges have everything they need. This hypothetical letter to students was posted on the listserv of the National Association for College Admission Counseling (NACAC) – an organization to which independent counselors, school-based counselors and college admissions folks belong. It was written by Bart Grachan, Director of Admissions at St. Thomas Aquinas College in upstate NY. I am posting it with his permission. Welcome to fall! It is a time of changing leaves, a variety of holidays, and of course, college application anxiety. We in higher education, while unable to take credit the leaves or the holidays, are almost completely responsible for the anxiety. You’re welcome! With myriad deadlines, countless forms, and endless communications, we have left you dizzy and confused. To borrow from the military, our motto should be “Hurry up and Wait,” albeit in Latin and carved ornately over our hallowed halls (Festinate, et exspectant!). You have reached out to your counselors, both at the high school and independent, to guide you through our convoluted processes. Please allow me to try to provide a little perspective, and possibly insights, on the admission process in the American system of higher education. Fooled you! There is no system. Each institution, often even those within large state systems, is independent in determining how and when to do things. Sure, we have guidelines, provided to us by NACAC, but with countless institutional goals, student information systems, and personnel variations (and budgets), how and when your application materials gets processed will vary wildly. You sent in all of your materials? Twice? Great! You may still hear from a counselor asking for something you know you sent. Why? Well, a typical application might contain 25 pages of materials, between the letter of recommendation, transcript iterations, test score reports, essays, letters, etc. A large university might receive 50,000+ applications; that’s 1.25 million pages of documentation coming in, electronically or otherwise. With deadlines, most of that documentation will be coming in within the same few weeks, even the same few days. That large university, whether they are receiving electronic information or paper materials, whether they are scanning them in or creating paper files, have to handle each individual document, to some degree, manually. They have to be matched up to applications, lest delays become even longer when materials go missing, as some inevitably will despite best efforts. A huge university will have a good sized staff, maybe 25-50 people processing at peak times of year, or 25,000-50,000 pages of documentation each. A small school, handling say, 2000 applications, however, might have a single person to handle 50,000 pages of documentation. That’s the part you don’t see. What about the part you do? Many schools have “live updating,” where you can log in and see the exact status of your application from moment to moment. It is live insofar as the institution has opened or downloaded your particular document, processed it and updated your individual application status, again, manually. It is not live in that, you have submitted it, therefore it is on the system and immediately visible to you. Institutions with strict deadlines also meticulously record the day they receive each item, so that there is no confusion as to whether you made the deadline or not. Unfortunately, it may take them time, particularly at the peak times of year, to make sure their “live” system reflects that. At the same time, if you are to call the institution to check, the same problem exists – the document may be on campus, sitting in a bucket with 10,000 other documents that haven’t been opened yet, so the person who answers is simply looking on the system to see if it has been entered. Enterprising counselors (or automated CRM systems) may even be reaching out to tell you, “Hurry, we need x, y and z, ASAP!” based on that same system, even though X and y are being entered that day, and z has yet to be opened and sorted. So, to recap: Hurry up, and get in your materials as quickly as possible. Then, wait to see if they’ve been received. Asking your counselors to follow up won’t get the mail opened any faster than your phone call will. Hopefully, if you didn’t wait until the fall to take your standardized tests, and you didn’t wait until October to ask for transcripts to be sent and recommendations to be written, and you didn’t wait until midnight of the deadline day to press submit on your application, then it will all be fine. If there was a delay in the mail, a glitch in the computer, or an MIA recommender, hopefully that was discovered well in advance of the deadline and addressed accordingly. If not, those of us with rolling admissions will be happy to take your calls and process you as quickly or as slowly as you can get us your information. Seniors – be patient. Even though your documents have been sent – much of the time electronically – there is still some human factor in the processing of all of the parts of your application. Juniors and younger students – vow to not wait until the final moment before the deadline to take tests, ask teachers for recommendations, send scores and transcripts, and submit your application! The earlier you send, the less hectic the receiver will be, and the more likely you are to know that your information is where it is supposed to be. Best of luck to those seniors who are waiting for their decisions!